Articles > Imagine > Have flag, will travel! 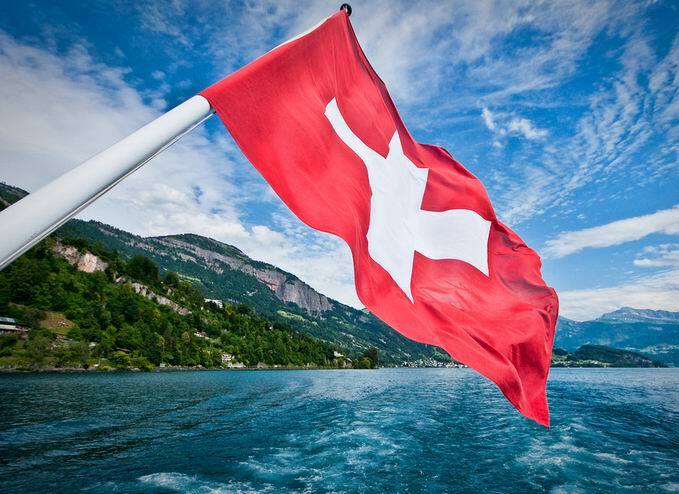 Flag of Switzerland can be considered the most philanthropic one for it resembles the symbol of the Red Cross the most. And it does so for a reason: one of the initiators of the organization’s foundation, Jean Henri Dunant, originated from nowhere else but the country of banks. Let’s get back to the flag though. Alongside the one of Vatican City, it is, by the way, “only a second square in the sea of rectangles” with its history reaching back to 13th century. This ensign, adopted as the state symbol of Switzerland in 19th century, descends form the emblem of the canton of Schwyz and it was its government that played an important role in unification of separate Alpine lands into a single country. However the world got to behold this particular white cross against red background in an instant that is far from being the most humane in human history – during the Battle of Laupen in 1339. Flag of Mozambique is one of the most militaristic ones: alongside everything else it depicts Kalashnikov rifle. All in all, placing a weapon on a flag or an emblem is commonplace among Dark Continent countries. Good thing is that such a tradition has been passing into history – some 15-20 years ago ‘drawings’ of the kind were seen much more often. 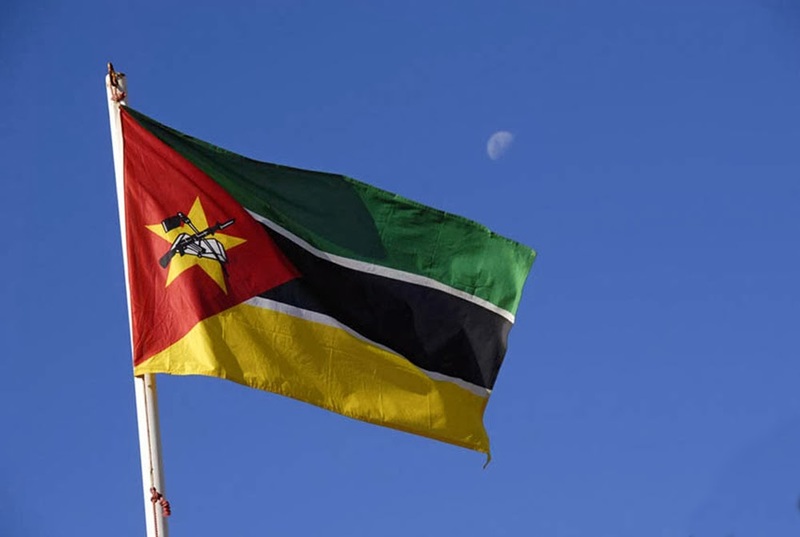 Looking deeper into Mozambique’s colors, aside from the offspring of a soviet engineer that speaks for itself without deciphering, its other element is a star that symbolizes hope for the whole world’s solidarity with the people of Mozambique. The rest is as simple as ABC: a book for education, a hoe for agriculture, green stripe for vegetation, black one for affiliation with Africa, golden – for natural resources, white ones for freedom. Norfolk Island situated to the west of Australia was discovered by James Cook in 1774. Up till 1854 this territory, now inhabited by slightly over two thousand people, was one true prison amidst sea. Nevertheless, when national colors were being established there thirty-something years ago, authorities decided not to rake up the shady past. Having taken Canada’s flag as a basis, Norfolk people, and there is a couple of Russian families among them, shifted red color for green one and a maple leave – for local pine. It turned out very pacifying. Now, who said that only rectangle and square shapes can be used in a flag image? Most likely, this was exactly the idea they had in Nepal so they came up with a weird geometric figure that resembles a half of a red spruce. The color relates to the times of Rana dynasty. 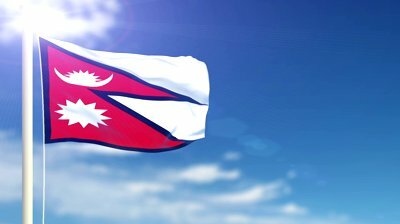 The flag, established in 1962, due to official rendering symbolizes Himalayan peaks and accord of two religions – Buddhism and Hinduism. By the way, human faces used to be on images of sun and moon. 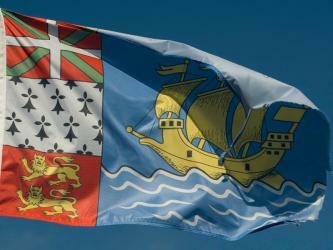 Authorities of Saint Pierre and Miquelon Islands, situated in the Atlantic Ocean, decided that since the flag existed anyway, if not everything, then the majority of things should be located on it. One can learn history from the banner of these French territories. You’ll find mention of first colonists – Basques – with their colors, of following owners: Bretons with miniver as well as ‘leopard’ Normans. The rest of the space is left for ocean and a ship of the discoverer Jacques Cartier who, alongside other things, ‘spotted’ Canada. Formidable waves rise up like soldiers on guard, then beat against the rocky coastline, lay down their arms and meekly retreating, crumble into a foam. Wind freely runs over lavender fields and eucalyptus groves hiding sleepy koalas in bushland. Twilight is ready to cover every living creature with a dark bucket, and the bustling nocturnal life spreads its wings. This is not a fictional world of fairy tales but everyday life of Kangaroo Island, a booming destination for wilderness and wildlife fans. In the course of program of 2017 in honour of the 25-th anniversary of establishment of diplomatic relations between Australia and Ukraine as well as celebration of settlement of Ukrainians in Australia in Kyiv the exhibition ‘Artists-Ambassadors. Ukrainian Australiana’ has been opened. The new Ambassador of Australia to Ukraine became diplomat Melissa O’Rourke who used to work as Australian diplomat office in Moscow. It is stated in the assignment of the Minister of Foreign Affairs Julie Bishop published at the website of foreign political department.